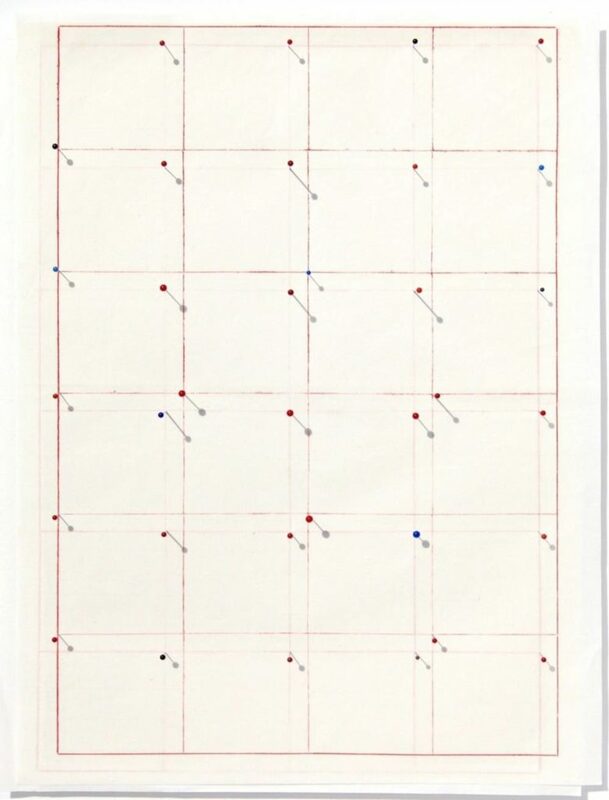 Stephen Dean, You Are Here, 2016, glass head pins on Chinese calligraphy paper, 60.5 x 47.5 x 8 cm. 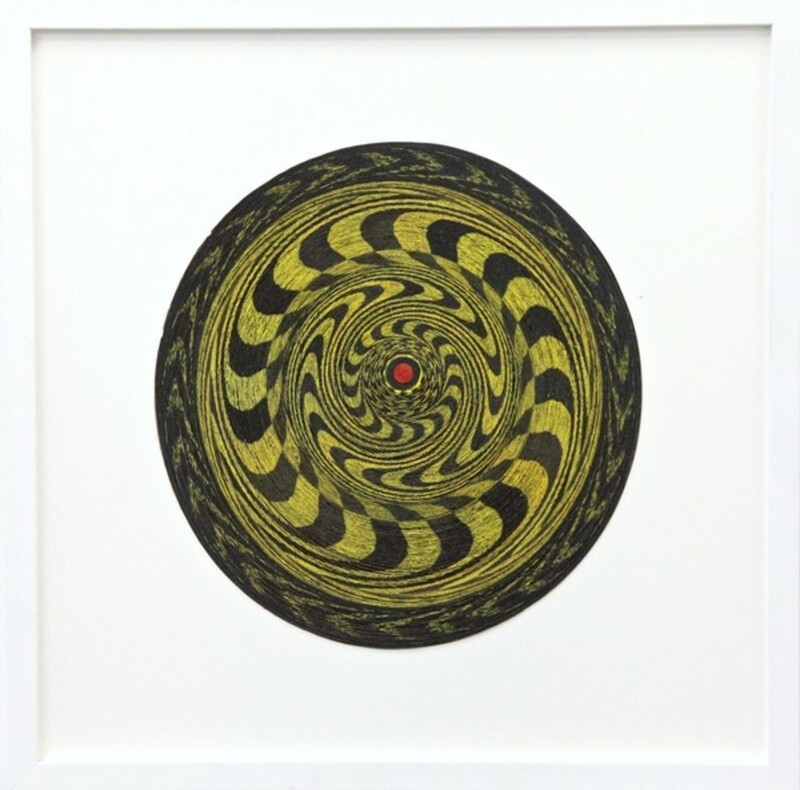 Stephen Dean, Target (black and yellow), 2015, uncoiled paper dartboard, 31 x 31 cm. 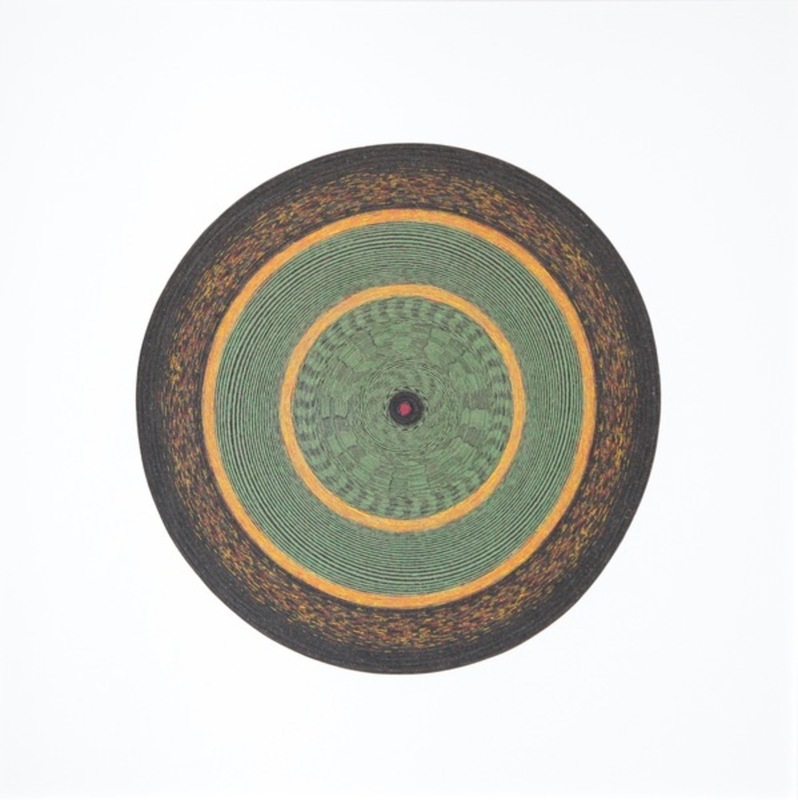 Stephen Dean, Target, 2010, uncoiled paper, 57 x 57 cm. 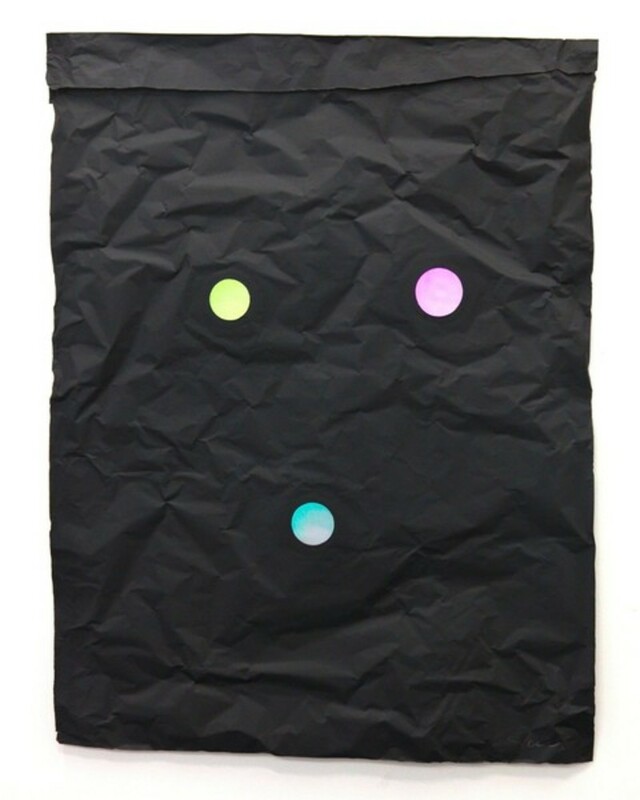 Stephen Dean, Juggler, 2014, Aluminium paper and dichroic glass, 80 x 60 cm. Stephen Dean, Untitled (2), 2008, watercolor on newspaper, 7.6 x 8 cm. 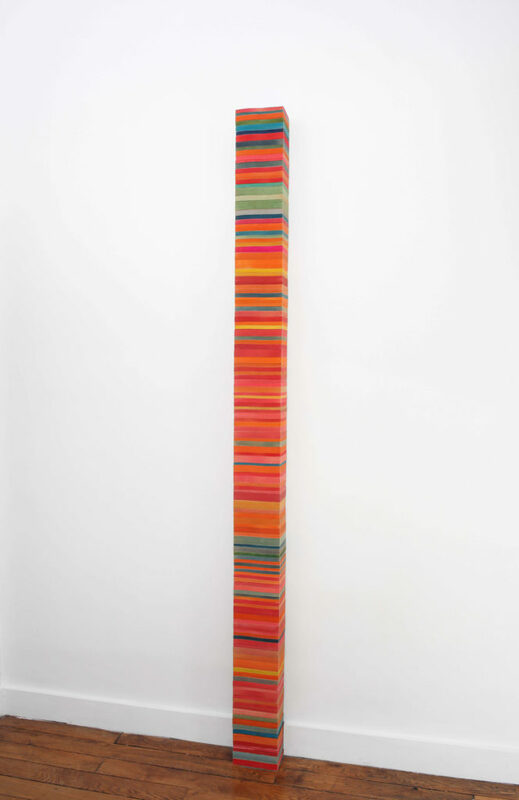 Stephen Dean, Account, 2010, books, 230 x 16 x 12 cm. Stephen Dean lives in New York. His recent solo exhibitions include « Jugglers », Casa Triangulo, Sao Paolo, Brazil; « Works on Paper and Edges », Baldwin Gallery, Aspen, CO; « Fever », Le Chateau d’Eau, Bourges, France; Sara Meltzer Gallery, New York, NY; « VOLTA », Miami Art Museum, Miami, FL; and « Stephen Dean », Museum of Fine Arts of Santander, Spain. Dean’s work may be found in the permanent collections of the Solomon R. Guggenheim Museum, New York, NY; the Whitney Museum of Art, New York, NY; the National Gallery of Art, Washington, D.C.; Yale University Art Gallery, New Haven, CT; the Fonds National d’Art Contem- porain, Paris, France; and the Fundacion Jumex, Mexico City, Mexico.